You are here: Home / Government / On Her Majesty’s Town Council: How Local Government Works in the U.K. I met Martin Rickerd six years ago. I remember the exact day. It was July 4. It’s easy to remember because we met at an Independence Day party in a large meadow near the Chattahoochee River in Atlanta, and, it turned out, Martin was the consul general for Great Britain. Yes, you read that right: a representative of Her Majesty’s Government was at a celebration of our separation from Her Majesty’s Government. I learned then that Martin had a good sense of humor and a fair amount of curiosity, which is a wonderful trait in a member of the Diplomatic Service. I, too, have a lot of curiosity, so we had several lunches to fill in the gaps in each other’s learning. And then Martin was gone, transferred back to U.K. and, in time, he retired. And once again, I fell back into my habit of peppering him with questions – this time about local government in the U.K. His answers were so good that I suggested we share them on my blog, and Martin has graciously allowed me to do so. I’ve included my questions to give his answers context and have lightly edited his answers so they’ll make sense to American readers. In a couple of instances, he used a word like “tenders” that might confuse Americans, so I’ve inserted its U.S. equivalent in parentheses and italics. But I left his British spellings intact. After all, who’s to say which are the proper spellings, neighbor or neighbour, center or centre? Final note: Her Majesty’s Government refers to the central government in London. It is sometimes abbreviated as HMG. Otis: If you get a chance, please tell me about Leighton Buzzard. Is it a suburb? A town? A village? As you may remember, I am curious about communities and how they work. Martin: Leighton Buzzard is a town of about 38,000 located on the Bedfordshire/Buckinghamshire border, about 35 miles northwest of London. That means it’s in the heart of rail “commuter” territory – several thousand inhabitants travel by train to London every day (as I used to in my pre-Atlanta days). Hardly anybody would consider driving to London daily for work – there’s nowhere to park, the fuel costs the equivalent of $8.00 a gallon, the traffic is terrible on the motorway and there’s the “Congestion Charge” to pay in central London. By contrast, an annual season ticket on the train to London costs about £3,770 (about $5,970). I actually live in Linslade which, although not recognised by the Post Office as a separate entity from Leighton Buzzard, has a distinct history (it was part of Buckinghamshire until the 1970s) as the Grand Union canal – a major trading waterway in the 19th and early 20th centuries – separated the two communities. When the railway from London to Birmingham was built in the mid-1800s, the people of Leighton Buzzard insisted that the station be built on the Linslade side of the canal as they didn’t want the “wrong sort of people” visiting Leighton Buzzard! The whole of Leighton Buzzard (i.e. including Linslade) has grown quite fast over the past 10-15 years as it’s in a popular part of the “greenbelt” around London – we are surrounded by the gentle Chiltern Hills – and the town struggles to find a balance between growth and preserving its character. Leighton-Linslade Town Council deals with very low-level issues such as trading permits for retailers and organising local events; but for all important matters including planning (zoning) it plays second fiddle to Central Bedfordshire Council, which covers a much bigger area (of course, “bigger” is a relative term – the whole of Central Bedfordshire’s area is only 275 square miles, about the same size as Atlanta’s suburb of DeKalb County. There’s a big difference in population, though – about 255,000 in Central Bedfordshire, compared to over 660,000 in DeKalb). Central Beds is responsible for things like police and fire services, roads, education, and environmental services including rubbish collection. Homeowners pay their annual “Council Tax” – equivalent of property tax – to Central Beds, not to the Town Council. Like all county councils, Central Bedfordshire’s funding is topped up (subsidized) by the UK national government. The mayor of Leighton-Linslade is essentially a ceremonial position, which goes with being leader of the largest political group on the Town Council. To give you an idea of the relative local importance of all this, a by-election held last week to replace a councillor who had failed to attend a single meeting in more than a year attracted a turnout of only 17 percent (which included me and my wife, as we feel quite strongly about these things – if our troops are dying to protect democratic rights in unsafe parts of the world, the least we can do is exercise our own democratic rights). Bedfordshire is divided up differently when it comes to representation in the UK Parliament – the county as a whole has six MPs, while Central Beds the local government area has three. I hope all this isn’t too bewildering as a “101” to the local government scene here. If you are a glutton for punishment, you could have a look at the Central Bedfordshire website and the Leighton-Linslade website. Otis: This is wonderfully helpful. I’ve tried for several years to get my arms around how local governments work in the U.K. I know that, under former Prime Minister Tony Blair, there was a greater emphasis on local government, but I could never get the 101 explanation of who did what, who paid for what, and who decided what. My interpretation from what you’ve written is that local governments function (as they do in the U.S.) by dividing responsibilities, with the “sub-counties” like Central Bedfordshire doing the heavy lifting of basic services like police, fire, sanitation. By the way, what is the common name for these jurisdictions (i.e., Central Bedfordshire)? I see why they’re used – you can get economies of scale by having a larger tax base and managing services over a wider area than a town could – but why not use the counties (Bedfordshire, for example) for that? Are they simply too big – sort of like asking the state of Georgia to manage trash pickup? And then we have the towns like Leighton-Linslade. In reading your description and visiting the website, it sounds sort of like a U.S.-style “business improvement district” rather than a full-fledged government. That is, it is in charge of making sure a place looks good and develops appropriately, along with providing some fun and games from time to time. Which makes me wonder what the Town Council does when it meets. Event planning and low-level business regulation don’t make for great public policy-setting. Is this why some members go AWOL? (If I counted correctly, there are 20 members on the Leighton-Linslade Town Council. That’s a big governing body, especially if it doesn’t have much to decide.) Of course, Leighton-Linslade has one thing that Atlanta suburbs like Roswell and Decatur don’t: a town crier. Still, managing the town crier, even if you have to sometimes press the robes and tune the bell, can’t take that much time. Here’s an important question: Who sets land-use policy and decides how specific parcels of land are developed? It looks like it might be the Central Bedfordshire Council . . . it has information on its website about planning and applying for permits . . . but it wasn’t absolutely clear. I don’t know what this is called there, but in the U.S., it’s called zoning, and it is one of the central powers that’s reserved to local governments. If someone wants to build a hotel or a small shopping area in Leighton-Linslade, who decides where it will go? Who draws up 20-year urban plans (where sewers will go, which areas will eventually be commercial, etc.)? And speaking of large governing bodies, the Central Bedfordshire Council has 59 members. That’s bigger than the New York City Council. Most cities or counties in the U.S. have between five and 15 elected members. Do you have any theories about why there are such big local councils? Martin’s first response was a laugh that could be heard across the ocean. I’ll let you have a considered response to your email in a day or two, but those two observations are priceless from a British perspective! A few days later, he wrote back with detailed answers. “Local government” covers a wide range of bodies covering a broad range of services. 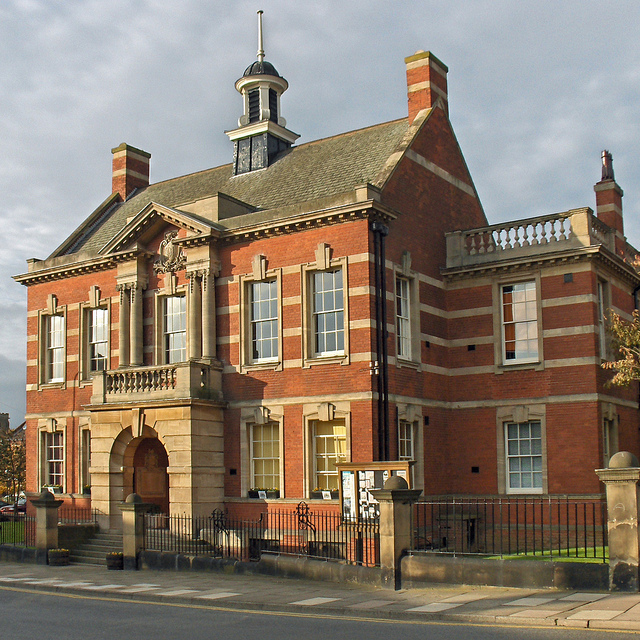 The two extremes of local government could be illustrated by, for example, Liverpool City Council, in the northwest of England, which covers a dense urban area of 445,000 people (see the Liverpool government directory for an idea of the services they provide) and our own Leighton-Linslade Town Council, as previously described. Borough of Bedford: the county town of Bedford, pop. 80,000, plus one or two smaller immediately adjacent towns, with a fairly high industrial/commercial base. Luton Borough Council. Luton is in the east of the county, fairly industrial (the British General Motors subsidiary, Vauxhall, was based there, and the town was an important hat-making centre in earlier times) and home to London’s fourth airport. Population, including abutting towns, around 250,000. Bedford and Luton boroughs are “unitary authorities”, signifying that that they cover several towns, bound up as one, due to proximity. A characteristic common to many English councils, large and small, is that many services are contracted out to private service providers – such as highway maintenance and environmental services such as rubbish collection, drain clearance, school buses, etc. This started under Margaret Thatcher as a money-saving thing (and as a way to reduce the power of the public sector unions) and has become standard practice – and a major source of income for the lucky businesses that win the tenders (contracts)! So while permission for an individual supermarket in Leighton Buzzard to expand can be decided by Leighton-Linslade Town Council alone, the question of how many supermarkets would properly serve the population of the county as a whole rests with Central Beds. As for the size of the councils, it’s important to note that a council like Central Beds represents dozens of small towns and villages, each of which (or perhaps two neighbouring ones) have their own representative/s. Our town council is broken down into eight wards, each with two or three councillors. Councillors are unpaid, voluntary part-timers with full-time day jobs. That also partly explains why some of them don’t turn up all the time! (They can claim expenses and some allowances, but it’s not a way to get rich or famous.) Finally, you asked what do they do at their meetings. I haven’t been to one yet, although I intend to at some point. I attach a sample agenda – this probably won’t be the one I go to, but it will give you an idea! Not a mention of the Town Crier. Want to know more about local government in the U.K.? You can download an agenda from the Leighton-Linslade Town Council by clicking here. Photo by DH Wright licensed under Creative Commons.